The quality and quantity of backlinks you have will decide how successful you are in the online world. Thousands of SEO campaigns are run across the world with one primary goal in mind – to gain quality backlinks from reputed sites. In this article, we will discuss common questions associated with backlinks. Read through them to understand the concept thoroughly. 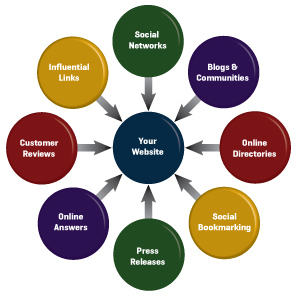 Backlinks are links that come from external websites to yours. They are also known an inbound links. 2. What are the different types of backlinks? i. Dofollow backlinks – A Dofollow backlink is highly preferred by SEO experts. This is because an external site that features a dofollow link to your site gives permission to search engines to track and index the link. A dofollow link is highly beneficial for your site. This type of link provides link juice from the original site. It is highly crucial that the original site is a respectable one. Having an incoming link from a poor site will do more harm to your site than you expect. ii. Nofollow backlinks – A Nofollow link on the originating site asks search engines to not track an outgoing link to your website. These links may not be great from an SEO perspective but still manage to provide quality traffic to sites. These links will not transfer link juice and have no impact on your page’s rank. 3. What does a backlink feature? 4. Why should you give importance to backlinks? Search engines give priority to websites that have a high number of quality backlinks. Such websites will come up well on rankings results, provided your content is good as well. 5. How should you build backlinks?